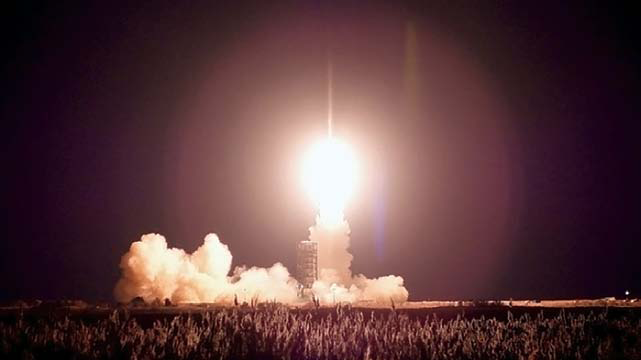 A device no bigger than a loaf of bread, birthed by university students on an island in the middle of the Pacific Ocean, is now in orbit to provide crucial connectivity for the U.S. Department of Defense. The Minotaur I launch at Wallops Island, Virginia, with Ho’oponopono 2 aboard. 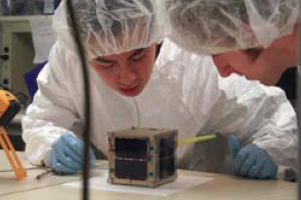 The University of Hawai‘i at Mānoa’s student-built satellite was launched as a proof-of-concept experiment from NASA’s Wallops Flight Facility on Wallops Island, Virginia, on November 19, 2013. The CubeSat is intended to perform radar calibration and performance monitoring capabilities for more than 100 radar stations around the world that track satellites, asteroids, and space junk. Dubbed Ho‘oponopono 2, or H2, the satellite measures 4 inches by 4 inches by 13 inches, weighs less than 9 pounds and cost $220,000 to build. Ho‘oponopono translates to “make right” in Hawaiian, an appropriate name for a calibration mission. The satellite is intended to perform the functions of RADCAL, a satellite 20 times larger and 40 times more expensive that went offline in May 2013, leaving the radar community without a dedicated calibration satellite. The University of Hawai‘i (UH) is the state’s sole provider of public higher education and plays a vital role in the islands’ prosperity, sustainability, and advancement of the quality of life. It is a complex and decentralized $1.5-billion enterprise with 10 accredited campuses and associated education and research centers spread across six islands. Through the Hawai‘i Innovation Initiative, the university system is working in partnership with the private sector and government to expand the state’s research sector to create more jobs at the professional level. H2 was built by students in the College of Engineering, which is located at the flagship Mānoa campus. UH Mānoa possesses a Research I classification and is also one of the few universities in the nation with land-, sea-, and space-grant designations. H2 was a product of the UH Small-Satellite Program, which has trained more than 250 undergraduates since its inception in 2001 to the historic 2013 launch. In fact, UH’s high-achieving students may be one of the best-kept secrets in the aerospace and satellite industries. Over the past 12 years, four UH undergraduates have been named the most outstanding electrical engineering students in the nation. 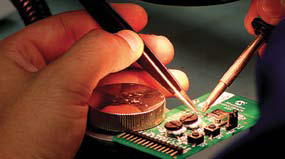 Many have gone on to work at some of the top aerospace engineering companies in the world. And, at least one product of the program, Professor Aaron Ohta, has returned to UH to perpetuate a virtuous cycle of producing excellent engineers, using an exciting new educational model. For many years, undergraduate engineering at UH had been taught in the traditional way, with lectures and assigned readings in core sciences, with no real practical application until a student’s senior year. However, that changed radically with the formation of the UH Small-Satellite Program. They returned to O’ahu all fired up, and the UH Small-Satellite Program was born. As the program developed the first few generations of satellites, undergraduate students gained know-how in satellite-systems engineering as well as professional experience through their involvement in real-world engineering projects. The students took the responsibility for designing and building satellites that provided practical applications and abilities. UH’s Small-Satellite Program adopts the Crawl-Walk-Run-Fly credo. That is, a student starts with simple concepts, gaining insight and confidence, and gradually progresses to the point where he or she is participating on a complex system. At the Crawl stage, two or three high school juniors are invited every year for a six-week summer internship program in UH’s lab. More advanced undergraduates mentor the high school interns in building a BalloonSat that is launched to the edge of outer space. Giving high school students the opportunity to build a BalloonSat that takes photos showing the Earth’s curvature is quite convincing in recruiting them to eventually join UH as college students. Tyler Tamashiro, for example, started as a high school intern, became the UH CubeSat Program’s leader as a college sophomore, and was eventually recognized as the top engineering graduate in the entire State of Hawai‘i. He is now working for Northrop Grumman, supporting space vehicle launches. Since 2001, the UH Small-Satellite Program has hosted more than 25 high school interns. 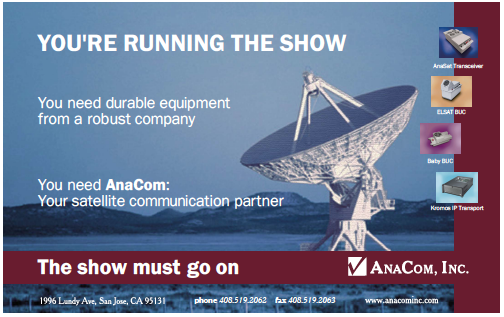 At the Walk stage, the program recruits freshman and sophomore engineering students into a comprehensive satellite-training course to provide inexperienced students with a basic understanding of satellite systems through a series of discussion and laboratory sessions. The material covered in these one-hour sessions is primarily based on the EyasSat, a fully functioning nanosatellite originally designed by the U.S. Air Force Academy. Students are grouped into cohorts of three to four students to ensure an interactive and discussion-based learning environment. The students perform hands-on experiments in the laboratory sessions, working with a variety of the EyasSat’s components, including the solar panel and light sensors, thermal control surface, and simulated separation switch. Although the Crawl (BalloonSat) and Walk (EyasSat) stages do not often present bona fide research opportunities, they are invaluable foundation steps for the Run and Fly stages that do offer such opportunities. In the Run stage, students advance to designing a CubeSat. To accommodate the large number of interested students, and yet to keep the team small enough to be manageable, there are often two teams running simultaneously—one that is usually sponsor-funded and mission-based, and a second team similar to the Navy SEALs (but the students themselves prefer the moniker of “Secret Ninja Club,” or SNC). The SNC team is familiar with the overriding concept of the mission, but their focus in on continually evolving the state-of-the-art in bus subsystem technologies. Once a funding opportunity comes along, the SNC team quickly jumps in to start the project. This means there is always a team in the wings, ready to start working on a sponsored project and injecting more advanced technology. At the Fly stage, students advance to the nanosatellite platform. Funding typically comes from the Air Force’s University Nanosatellite Program, which gives students the opportunity to propose and design both a mission and a nanosatellite that could potentially be selected and sponsored for a launch into space. Students work with industry partners, incorporating the company’s best practices as they prepare for a set of structured design reviews by a distinguished panel of government and corporate professionals. In addition to hands-on training in satellite systems engineering, the program also provides students valuable experience in program management training. Each team receives a grant of $110,000, which they need to properly manage the successful build of a protoflight nanosatellite for the flight competition. On top of that, students are directly involved in logistical planning for the training workshops and design reviews that are scheduled at various sites throughout the country. The industrial requirements and reviews, as well as the dynamic challenges faced in program management, make this an ideal program in preparing students for the engineering workforce and graduate studies. H2 in orbit. 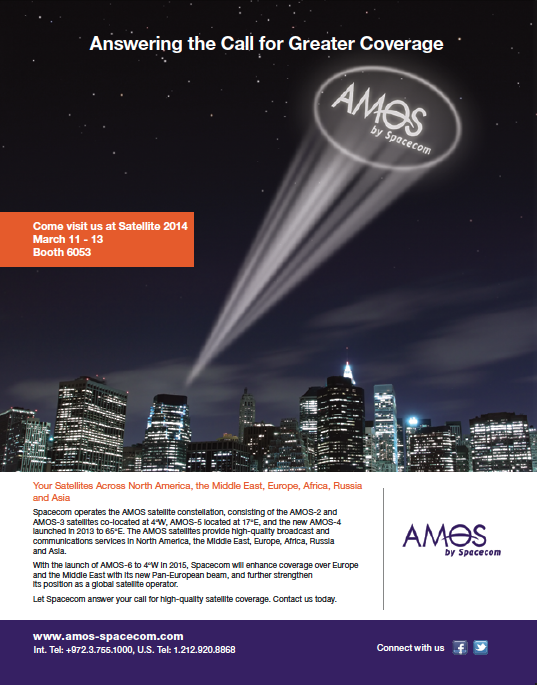 Artistic rendition is courtesy of Analytical Graphics, Inc. The UH Small-Satellite Program was initiated in 2001, with the development of its first CubeSat, Mea Huaka‘i (Voyager). The two primary goals of the project were to develop, test, and launch Hawai‘i’s first small satellite as a collaborative, undergraduate-based effort, and to perform thermal sensor measurements to verify UH-designed thermal modeling software for a CubeSat form factor. This was UH’s first step in establishing an undergraduate based small-satellite research program. One of the aims of the program’s creation was to retain the best young minds in Hawai‘i. Two juniors, Aaron Ohta and Michael Tamamoto, were selected as Project Director and Assistant Project Director, respectively. More than 70 undergraduates and nine faculty advisors participated in this first phase. The team worked to coordinate the overall design effort, secure funds, organize design reviews, and deliver presentations to sponsors. Project sponsors for Mea Huaka‘i’s $120,000 budget included the Hawai‘i Space Grant Consortium, Northrop Grumman Space Technology, One Stop Satellite Solutions, Boeing, the UH College of Engineering, and many UH alumni and friends. The project provided an invaluable learning experience for many of the students by building teamwork skills and teaching them the working dynamics of a multi-team engineering project. The satellite launched on a Russian Dnepr rocket from Kazakhstan in July of 2006. Although the repurposed ICBM crashed in the desert and destroyed its payloads in the process, the UH Small-Satellite Program was unharmed and undaunted. The students’ work would eventually rise like a phoenix from those ashes. The next phase of the UH Small-Satellite Program was participation in the Air Force University Nanosat Program. One of 13 universities to win a $100,000 grant, the UH team proposed a satellite payload with a primary focus of communications technology research aimed at cooperative networks of small satellites. A team of 40 undergraduates developed a pair of tethered CubeSats, dubbed Hokulua (Twin Stars), to demonstrate self-steering antenna array technology for nanosatellite crosslinks. This technology eventually led to the first-place finish in the 2004 UH Business Plan Competition and the formation of start-up company, Pipeline Communications and Technology. As a result of his many achievements, Blaine Murakami, Hokulua’s Systems Engineer, won the 2005 Alton B. Zerby and Carl T. Koerner Outstanding Electrical or Computer Engineering Award, identifying him as the top electrical engineering student in the nation. In 2001 and 2003, Kendall Ching and Aaron Ohta (Mea Huaka‘i’s Project Director) had won the same award. Seven years later, Larry Martin (H2’s Program Manager) won the 2012 award. UH undergraduate Monte Watanabe testing UH’s first CubeSat, Mea Huaka‘i. In 2007, the International Electrical Engineering honor society IEEE-HKN recognized him as one of the top three graduating EE students in the nation. By the time he graduated with his MS degree in 2009, he had published two journal papers (including a first-authored paper as a senior), six conference papers, and one book chapter. One of the long-term goals of UH’s Small-Satellite Program is to create a distributed network of small satellites. This sparked the third-generation project, Ho‘okele, which demonstrated a proof-of-concept CubeSat that could conceivably operate as a node in a crisis management or disaster-monitoring network. The timing was fitting, following the tragic December 2004 tsunami in Southeast Asia and Hurricane Katrina in 2005. Ho‘okele’s mission was to provide Low-Earth Orbit (LEO) satellite images for use in crisis management and disaster mitigation as well as to demonstrate inter-satellite communication in an expandable satellite network. This small-satellite project cost $59,522 and was a collaborative effort between UH and Novasol, a local engineering firm. The UH team was responsible for the development of the image acquisition and tagging payload, which included an on-board CCD network camera, a Global Positioning System (GPS) and an Inertial Measurement Unit (IMU). The UH team was also responsible for designing an engineering model of the satellite bus capable of supporting the imaging payload. Ho‘okele was never launched, however, the engineering model was tested and proven on the ground. This effort would prove to be the most functional satellite project until Ho‘oponopono 2 and was staffed by a dream team of undergraduates that included five University of Hawai‘i Regents Scholars. (The University of Hawai‘i Regents Scholarship is a prestigious, full four-year scholarship that is given to only 20 high school students per year.) In fact, the Novasol engineer who developed the proposal was Jason Akagi, one of the original Mea Huaka’i team leaders and a former UH Regents Scholar, who is currently one of H2’s industrial advisors. The growth of the technologies implemented in the satellite bus between the UH Small-Satellite team’s first three projects coincided with advances in the scientific community. Continued success at each phase of the program drove basic system platform improvements for the next generation of small satellites. Self-steering array showing: (left) placed on one face of Hokulua, and (right) interior circuitry. Self-steering antennas, unlike conventional phased arrays, point autonomously to a target without any prior knowledge of the target location, making them ideal for ad hoc small-satellite networks. The goal of this fourth-phase project, funded by the Missile Defense Agency, was to provide enabling technologies for an autonomous, flexible, dynamically reconfigurable, redundant, and readily deployable constellation of nanosatellites. Ho‘okia‘i focused on integrating an active micro-thruster propulsion system and improved self-steering array technology into the satellite bus architecture. 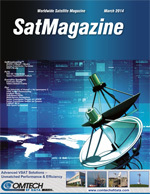 This satellite bus incorporated many technologies developed in previous satellite generations such as software-level housekeeping, attitude determination, and COTS-based S-band wireless communications. One of the program’s proudest accomplishments may also be its least known. 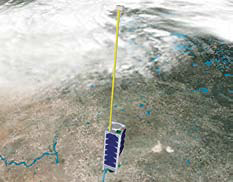 In 2009, the program received funding from a defense contractor to build a sounding rocket payload named “Papio” with a fully functioning accelerometer and GPS. This project took two engineers less than 45 days and $13,000 to build the unit, something that would have even challenged professionals in that field. That one of the participating students, Bryan Fewell, was in the eighth grade at the time he helped to build PapioSat makes this even more impressive. Success might have been even sweeter had the rocket that PapioSat been aboard not failed during its launch from a New Mexico spaceport. However, efforts were about to change for the better. 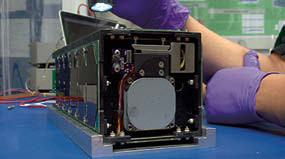 UH’s participation in the Air Force’s University Nanosat Program in 2009 funded the development of Ho‘oponopono 1 (H1), which would become the engineering model for Ho‘oponopono 2 (H2). Under the program, participating teams of university students are hosted through a two-year gauntlet of reviews that progress from the conceptual stages of identifying mission objectives and system requirements to the final stages of presenting a fully developed, flight-ready satellite. About 50 engineering students made the four-year journey from concept to launch. Students Justin Akagi and Wade Tonaki with CubeSat engineering models. After completing a rigorous two-year, six-level review process, the Ho‘oponopono team was awarded with the Nanosatellite Program’s Most Improved and Third Place awards at the 2011 American Institute of Aeronautics and Astronautics (AIAA) Student Satellite Flight Competition Review. Simultaneously, Ho‘oponpono was also selected by NASA as a participant in its CubeSat Launch Initiative as part of the Educational Launch of Nanosatellites (ELaNa) Program. Graduate student Justin Akagi and Professor Wayne Shiroma with Ho’okele. Akagi secured over $500K in extramural funding for the UH Small-Satellite Program, in which he worked from the freshman through MS levels. The future is bright for the UH Small-Satellite Program. Based on the lessons learned from H2, the hope is that the Air Force will approve an even more robust iteration of the CubeSat. H3 already has a spot on a future NASA launch and was recently ranked sixth out of 33 proposals. The one problem is that there isn’t sufficient funding currently to build H3. The program needs something on the order of $800K to bring H3 to fruition. 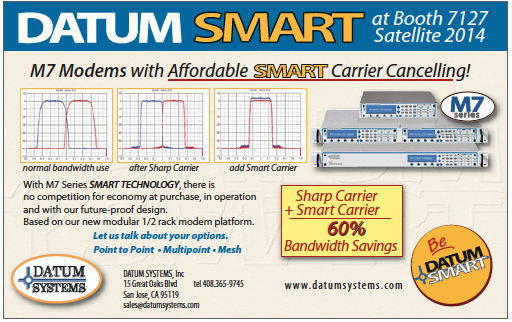 (Still a deal, considering what the government-sponsored, now-defunct RADCAL cost.) However, the UH Small-Satellite program has proven its resilience, having weathered setbacks and blowups, so H3 is probably a good bet. H2 project manager Martin appreciates the real-world experiences, which have propelled him to work with some top aerospace companies. “The University of Hawai‘i is preparing students for the workforce in practical, yet exciting ways,” he said. Moreover, the success of the UH Small-Satellite Program is largely due to the students themselves, who have helped to write proposals that have raised more than $1 million in extramural funding. Ten students have gone on to pursue Ph.D.s. Students have also generated patents, a start-up company, and dozens of publications, including the first book dedicated to university small satellites. Two of Mea Huaka‘i’s original leaders, Byron Wolfe and Jason Akagi, are still advising UH students 13 years later. Small satellites aren’t just enabling technological advances, but are—more importantly—producing student excellence. The hope is with a sister program, the Hawai‘i Space Flight Laboratory, getting ready for the state’s first space launch and satellite deployment from the Pacific Missile Range Facility (PMRF) on the island of Kaua‘i later this year, that the University of Hawai‘i will become the first, or one of the few, universities in the world with unique, direct access to space. This an exciting time for research and innovation in Hawai‘i and an exciting time to be a student in arguably one of the most beautiful states in the world, where space-age dreams can literally take flight. 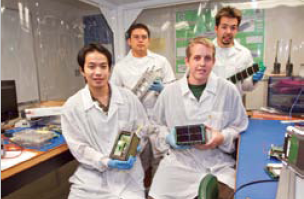 From back left, clockwise: Windell Jones, James Ah Heong, Nicholas Fisher, and Andy Pham, with CubeSat engineering models featured in the AIAA book. The University of Hawai‘i (UH) was established in 1907 and its campuses are all fully accredited by the Western Association of Schools and Colleges. The UH System now comprises all public higher education in the State and provides a rich array of associate, baccalaureate, graduate, and professional degrees and certificates to about 60,000 students through seven community colleges, two baccalaureate campuses and a major research university that holds land-, space- and sea-grant designations. For more information, visit http://www.hawaii.edu. The University of Hawai‘i is working in partnership with the private sector and government to build a thriving $1-billion research enterprise in Hawai‘i that will develop a third major economic sector for the State, create thousands of high-quality living-wage jobs, and address the challenges and opportunities that face our communities and the world to improve our quality of life. More information about the Hawai‘i Innovation Initiative is available online at http://hawaii.edu/innovation. Undergraduates John Furumo, Nicholas Fisher, and Kelson Lau assembling H1. Furumo and Lau now work in the aerospace industry at SpaceX and Raytheon in Southern California, respectively. Fisher is the Systems Engineer for H2. UH undergraduates begin designing its first CubeSat Mea Huaka‘i (Voyager), whose mission was to downlink thermal sensor data to confirm predictions based on a novel thermal modeling code. This effort was funded in part by the Hawai‘i Space Grant Consortium, Northrop Grumman Space Technology, and Boeing. UH is one of 13 universities out of more than 30 proposals to win a $100,000 award under the AFOSR University Nanosat-3 Program. Hokulua’s (Twin Star) mission was to develop self-steering antenna arrays for crosslink communications within a small-satellite network. Under subcontract to NovaSol, UH is awarded a grant to develop a geo-referenced imaging CubeSat, Ho‘okele (Navigator), for crisis management and disaster mitigation. UH is awarded a $300,000 grant from the Missile Defense Agency to develop retrodirective antennas that further advance the state-of-the-art, as well as develop microthruster propulsion technology. The nanosatellite was known as Ho‘okia‘i (Watchman). UH’s first CubeSat is one of the CubeSats in a failed Dnepr launch. UH receives two patents on its self-steering array technology. Co-inventors include three undergraduates. 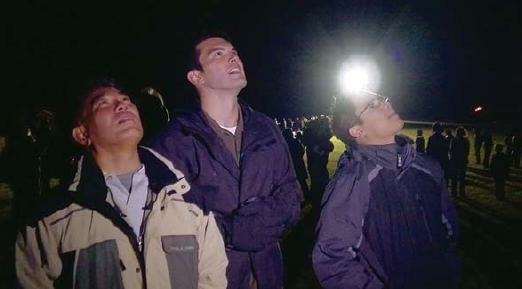 Professor Wayne Shiroma and graduate students Larry Martin and Windell Jones witnessing the launch of H2 at Wallops Flight Facility in November 2013. 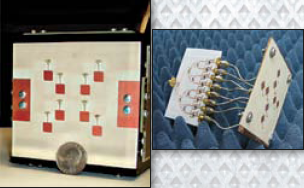 Under subcontract to Progeny Systems, UH is awarded a DARPA SBIR Phase I grant to develop novel small-satellite constellation antennas. UH begins developing its fifth CubeSat, Kumu A‘o (Source of Learning). UH takes a giant leap forward when it establishes the Hawai`i Space Flight Laboratory, an end-to-end design, fabrication, integration, test, and launch facility for small satellites. UH is one of 11 universities to win a $110,000 award under the AFOSR University Nanosat-6 Program. The mission is to develop a radar-calibration nanosatellite engineering model, Ho’oponopono 1 (Make Right). Within an impressive 45 days of call-up, UH designs, builds, and launches a payload for an UP Aerospace rocket launched at Spaceport America. UH also receives a $400,000 grant from the Office of Naval Research to develop miniaturized antennas for a CubeSat platform. The American Institute of Aeronautics and Astronautics (AIAA) publishes “The Emergence of Pico/Nano Satellites for Atmospheric Research and Technology Testing,” the first book dedicated to the CubeSat platform. Program founder Wayne Shiroma is co-editor for this book, and UH students contribute approximately 25 percent of its contents. UH wins the third place and most improved awards for Nanosat-6. In parallel, NASA selects Ho‘oponopono for its CubeSat Launch Initiative. AFOSR provides continued funding for the Ho‘oponopono 2 flight model. Ho’oponopono 2 is launched into orbit as one of 11 NASA ELaNa CubeSats on the ORS-3 mission.